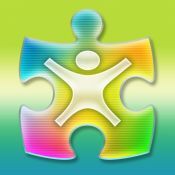 We're so proud to be featured in the App Store's "Special Education: Learning For Everyone" section. Join the thousands of parents who have made iEarnedThat part of their parenting success! Designed by a Pediatrician and parent, iEarnedThat is an amazingly simple motivational tool to help children develop desirable behaviors by working towards tangible goals. "We all love this App! I was having a hard time keeping up with the point system I had created for my kids and then I found this"
"I love the idea of rewarding good behaviour as a parenting tool. This app gives you a way to do that, great!!" "Beautiful interface with effective results. I love that"
Turn any picture of a desired reward into a 3D interactive jigsaw puzzle of up to 60 pieces! 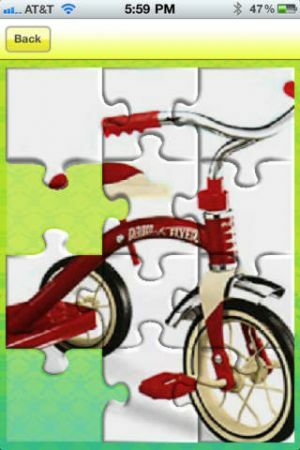 Set the goal and have your child EARN their reward one puzzle piece at a time! iEarnedThat works because it keeps children interested in accomplishing things through providing instant and ongoing positive reinforcement. Equip your children with the tools for success and make it FUN ! -Learn by building their imagination and foster a sense of responsibility and independence. -Use productive play to teach your kids self-control and build their esteem. -From brushing their teeth to potty training, from homework to eating their veggies, iEarnedThat is whatever YOU and your child want it to be ! Having trouble getting your child to listen to you? iEarnedThat can change all of this for you and your family. -A visually dazzling and interactive puzzle that allows your child to monitor their own progress and work towards building THEIR goals. -Motivate and shape positive behavior and learning through what matters to your child and make it FUN ! 100% Customizable to the children in your life. -Add any number of children and set unlimited rewards, no goal is too big or small. -You and your child determine the reward and a simple way to earn it. -Who’s this app for anyway? You or your child? * No more confusing and detailed star charts. * Let your child be a child and PLAY! * The dazzling 3D puzzle will entertain while teaching them about building, earning and hard work. Take a picture, upload photos from your album and design the goals set by you and your child. For Kids of all ages, not just for toys and games, how about that new pair of shoes or that new digital camera? That’s right “iEarnedThat” ! We\'ve listened to the wonderful feedback of our loyal customers. Una extraordinaria aplicaci�n con la que se podr�n trabajar buenos h�bitos con los alumnos. Esta app ayuda a los alumnos a desarrollar h�bitos con responsabilidad y autonom�a personal. Realmente buena y, sobre todo, �nica. Para probarla, recomiendo que primero descargu�is la versi�n gratuita, cuya �nica limitaci�n es que s�lo te permite crear los datos de un �nico alumno. Aunque es muy buena para trabajar los buenos h�bitos en Educaci�n Infantil, tambi�n es muy v�lida para los primeros cursos de Primaria. Y excelente para Educaci�n Especial.